Where a traditional picture rail has been installed, our heavy solid brass or stainless steel picture rail hooks give a traditional look. Combined with stainless cable or Clearline Hangers and adjustable hooks, the Traditional Picture Rail hangers functions like a modern system. 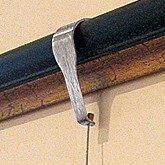 The improved design of the picture rail hook positions the stainless cable much closer to the wall. This means the picture will sit at the proper angle rather than lean too far forward as is often the case with other traditional picture rail systems. If your pictures are still leaning too far forward why not try the new HangRight Clips. These clips will work with any of our hanging systems – The Gallery System, Slimline System or Traditional Picture Rail hangers. 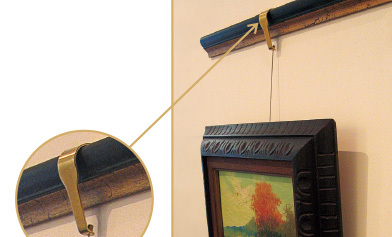 The HangRight Clips bring your art back closer to the wall for a professional display every time. 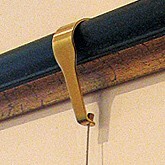 Traditional Picture Rail Hangers – This pack includes five picture rail hooks in either solid brass or stainless steel. Additionally, the pack is sold with 5 x 2m stainless steel cables or 5 x 2m Clearline Hangers. 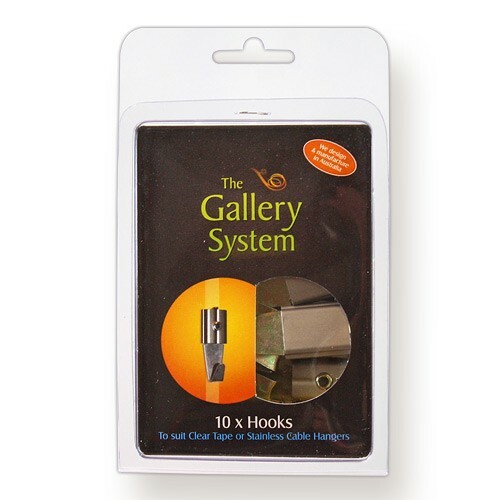 Gallery Adjustable Hooks – Thread onto the hangers and are sold separately. 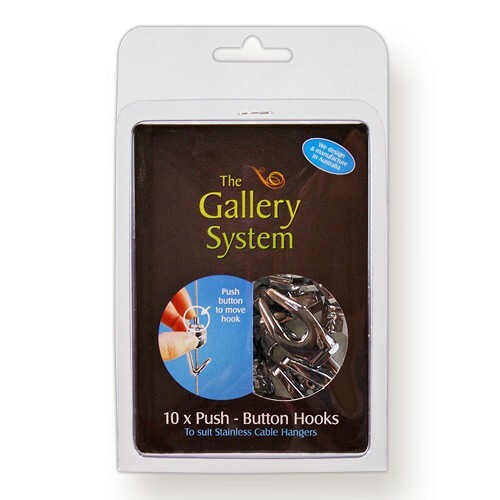 There is a choice of standard Gallery Alan Key Hooks (suit Clearline or Stainless Cable hangers) or Gallery Push-Button Hooks (suit Stainless cable hangers). ACHIEVE THE PERFECT LAYOUT EVERY TIME, WITHOUT ANY FUSS, BY USING THE TRADITIONAL PICTURE RAIL HANGERS!